There has been a lot of news around the internet about the new iPhone 6 and the new iPhone 6 Plus. Some of the news hasn’t been so nice to read. There a tons of people freaking out over the reports of the iPhone 6 Plus being able to bend (*See Video Below). There have even been a few people, who are apparently very rich by the way, who have even went as far as to buy a brand new iPhone 6 Plus and make YouTube videos of them bending their phone until it is completely broken. Should this really be a concern? I don’t know, I guess it depends on the type of person you are. But before you decide on which new phone you are going to buy, you have to think rationally. Now, I have never been a huge fan of Apple products. Not because they aren’t good, just because I think that they offer less options and flexibility than some other companies. So I’m looking at this from a fairly unbiased view point.With this launch, Apple broke every sales record they had with previous iPhones. Everyone and their mom bought one. There were literal boat loads of iPhone 6 Plus phones out there. When all of these accusations online started blowing up and becoming a big deal, there had only been 9 reported cases of the iPhone 6 Plus bending by accident. Let that sink in. That means that only a fraction of a fraction of iPhone 6 Plus users had a problem at all. I think that by itself sheds a lot of light on the whole situation. You also have to use your own common sense, and also understand that a lot of the world doesn’t have that much common sense. You can break, bend, or destroy just about any electronic device that has ever been created. Just because I can stand on a Sony TV and destroy it doesn’t mean it isn’t a fantastic TV, and just because I can’t bounce a MacBook like a basketball and then score a goal with it before I watch cat videos on YouTube doesn’t mean it’s a bad laptop. If you try to break anything, 9 times out of 10 it’s going to work. 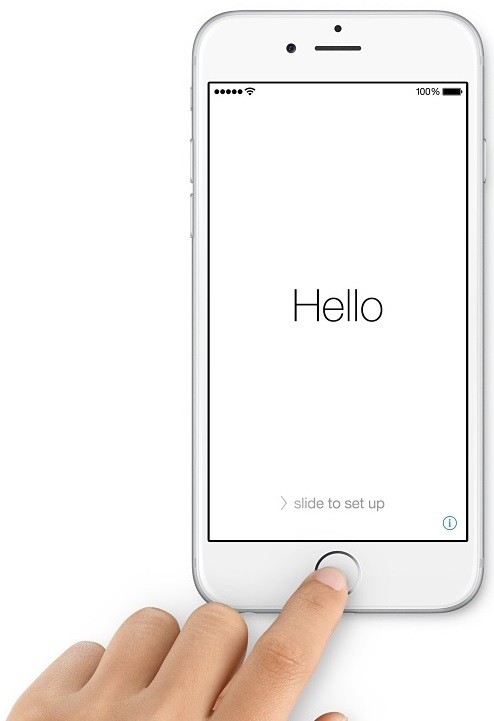 There may be a weak spot on the iPhone 6 Plus. There is probably a weak spot on anything. As with any nice electronic device, the iPhone 6 Plus is going to require some care. If you ask me, then in my humble opinion I don’t think anyone has anything to worry about when considering the iPhone 6 Plus. It’s a great phone, it has a longer batter life than the iPhone 6, it has a better camera and it’s obviously bigger. Go ahead and get the phone you know you want, act like you have some sense, and be happy. Would You Like To Rent A Brand New, Unbent iPhone? Could Apple Be Slimming Down The MacBook Air Even More? 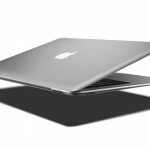 Apple’s MacBook Air laptops have become super popular due to their ultra-slim design. They are super light and easy to transport, which makes them perfect for traveling on business or for students who need to have their computer wherever they go. According to new reports from Digitimes, Apple could be launching brand new MacBook Air models that are even lighter and more slim than they have ever been before. These new models could be released as soon as the end of the year or some time in 2015. Actually, the Digitimes report doesn’t really specify if the slimmed down new models will be the MacBook Air specifically, but that seems to be what makes the most sense. It could be a slimmed down version of the MacBook Pro, but then there wouldn’t be much of a reason for the MacBook Air. There is a strong possibility that both models will get a fresh redesign though and that they could both be slimmed down a bit. The same website has also reported that the current 13.3-inch version of the MacBook Pro will be retired by the end of the year. Both of these flagship laptops have gotten little changes this year already. Nothing major was updated, but they did both get a CPU boost along with a nice drop in price. It seems like it might be a little bit hard for Apple to shave even more bulk off of the MacBook Air. At the same time, they will probably never slim down the MacBook pro to the same size as the MacBook Air. The two laptops are different and have different selling points, they wouldn’t dare drop one from their line of products or go out of their way to make them basically the same. Either way, these new reports are very interesting. Hopefully we will be hearing some more news on this by the end of the year, or even see the new product in person by then. Back in June Apple announced that it sold 4.4 million Macs during the month, the most ever for that quarter of the year. In addition to that, the company also announced that those figures also showed a year-over-year growth rate that the rest of the industry hasn’t seen since 2010. Apple sold 18% more Macs in the quarter than the same quarter the previous year with revenue from the oldest line of Macs contributing 15% of the company’s $37.4 billion in total sales. The sales of Apple’s Macs came in significantly higher than the predictions of nearly every single Wall Street analyst polled by Fortune. Apple beat the 3.9 million average of nearly three-dozen analysts by 12% . None of the 34 financial experts surveyed by Fortune had placed a bet higher than what Apple had recorded. “We had a record June quarter for the Mac, and demand has been very strong for our portables in particular,” stated CEO of Apple Time Cook. In addition to that, Apple’s CFO Luca Maestri praised the fact that Apple was able to beat the PC industry average in 32 of the last 33 quarters. The one quarter in the last eight years that Apple failed to match or beat the average was Q4 od 2012, which was caused by a production fiasco which left the company without iMacs to sell for several months. Gotheil and Baker both believe that Apple benefited from the minor bounce back in the overall PC business from the previous quarter, though for different reasons. Gotheil believes that users with aging PCs running Windows (likely ones bought around 2008-2009) picked a Mac as a replacement/upgrade whereas Barker believes there is a different reason for the spike. 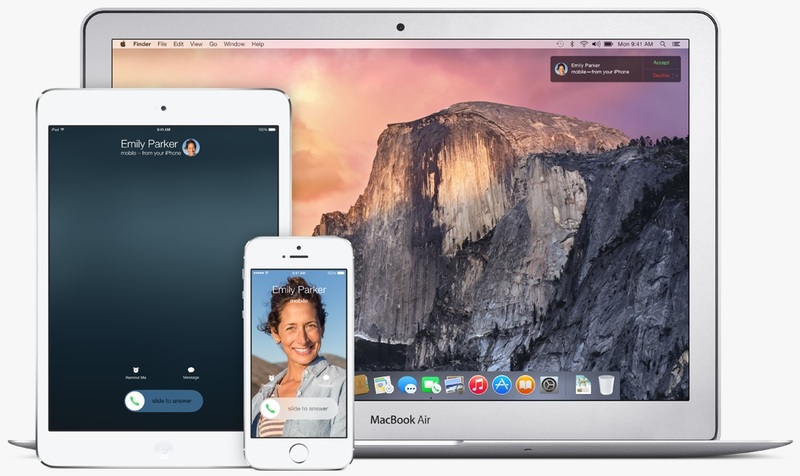 Recently, Apple has unveiled one of the biggest releases since the launch of the app store, iOS 8. It provides Apple users with more iCloud storage for photos, improved keystroke entry, improved message content and many more updated features. iOS 8 will deliver a much simpler and faster user friendly experience. With the iCloud photo library, iOS 8 allows users to enjoy photos and videos more easily across devices. It also includes predictive typing for Apple’s “QuickType” keyboard. In iOS 8 the iCloud and photos app will give you access to all of your photos and videos anywhere. Photos are more easy to find and are completely organized across any of your enabled devices. The Photos app can automatically edit any photo with inhaled smart editing tools. Sending and receiving messages become more immersive with the ability to communicate with one swipe, and ‘tap to talk’ allows you to record your voice for sharing videos and photos within messages. You can also choose to share your current location in messaging. iOS 8 also introduces Family Sharing, which makes it easier to share purchases, photos, etc, all in the same household. Family members can view each other’s iTunes, iBooks or app store purchases and parents can create Apple IDs for children, which includes ‘ask to buy,’ which requires parental permission for any purchases. Family Sharing automatically keeps everyone fully connected by creating an option for locating family members and their devices. The iOS 8 software and SDK are available now for iOS developer program members only at developer.apple.com, but iOS 8 will not be available to the public until the upcoming fall. It will be a free software update for any Apple device. It’s hard to hear the name “Apple” and then place the word next to the term “affordable”. This isn’t to bash on Apple, but as the old adage goes, “you get what you pay for”, right? 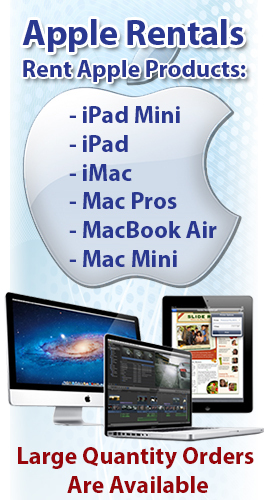 Apple provides excellent products, usually all are very high-end. However, with high-end products come high-end prices. The iMac and even the Macbook aren’t considered the most affordable of tech devices, but they are always seen as some of the best tech you can get your hands on. You would think that with all of the competitors out there offering lower costs, and most succeeding at emulating what Apple can do, they would try to compete themselves and offer lower prices on some of their tech. Well thankfully, that looks to be in some of Apple’s plans this year. Apple’s product road map for the year of 2014 has pointed out some interesting things. First and foremost in a new ultra slim 12″ Macbook Air. The map revealed more on the iWatch, and new sizes in iPhones, but more so revealed a new low cost iMac as well. The new Macbook Air seems to be the thing that most everyone is concerned with, in terms of new laptops coming out later this year. The new Air is expects to do away with the two different sizes which its predecessor had. The new Air is rumored to be 12″ instead of offering an 11″ or 13″ model this time around. According to Ming Chi Kuo, a KGI Securities representative who is quite psychic when it comes to Apple rumors, the 12″ model is thought to be a fusion of the two previous Air models. The 12″ model will still offer the portability of the 11″ model while maintaining the efficiency and productivity of the 13″ model as well. Kuo has also predicted that the new Air model will be host to an ultra high definition display as well. It’s rumored that it will, in fact, be a retina display model to match that of the Retina Macbook Pro model. Yet another rumor of the new Macbook Air is that it will actually (somehow) be thinner and lighter than the preceding model was/is. It seems next to impossible to make this happen, but there are a few speculated specs that show how this could be possible. As with any laptop, there are a few things that must be included within the casing to make it work. However, there is one thing that you may think would be needed in a high end laptop that the new Air will not include: a fan. This will no doubt make the laptop slimmer, but hopefully the notebook will be able to retain high power output without needing to be cooled down by a fan. There is said to also be a buttonless trackpad. The trackpad will now be responsive to pressure instead of the clicking of buttons. Kuo again talked of the lower cost iMac expected to come out later this year. Obviously no one knows how “low-priced” it will be, but on the roadmap for Apple, it looks to come out halfway through the second quarter of 2014. The new iMac has been lowered in cost to compete with other companies that offer lower prices (funny how I mentioned that same thing at the beginning of this article). The new Macbook Air, however, isn’t expected to be out until late, possibly the end of this year. Whether you are crazy about Apple’s products or not I think there is one thing we can all agree on and that’s the fact that Apple’s physical stores are pretty cool. Not only are they bright, inviting and slightly futuristic looking but they also allow you to literally pick up and play with every single device that Apple currently has on the market. 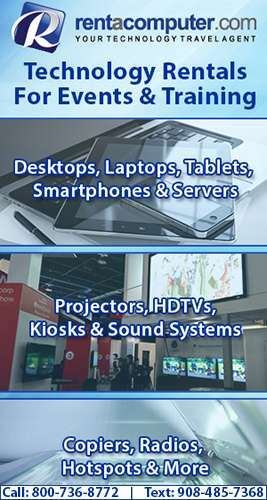 Plus they also allow you to bring in your Apple products for repair, allowing you to get them fixed by true Apple professionals. So that is why it is no surprise that over a thousand people showed up to the grand opening of the very first Apple store in South America. 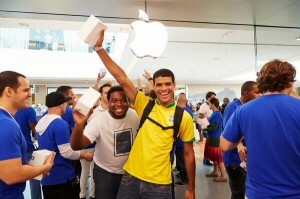 Over 1,700 people came to the Village Mall in Rio de Janeiro’s famous Barra de Tijuca neighborhood this past weekend to check out Apple’s first physical venture in the country. You would have thought it was Black Friday in Rio as potential customers started standing in line on Friday. Around 163 people stayed overnight for a chance to be one of the very first customers through the doors when they opened on Saturday morning. According to the local Brazilian newspaper the Globe, Apple had anticipated as many as 1,500 people to attend the store’s grand opening with the company being more than overjoyed when that number was easily surpassed by the eager Apple junkies. Apple’s own CEO Tim Cook even took to Apple’s Twitter feed to show his appreciation for the country’s support and to those who visited, which is the first time Cook has done something like this for a store opening. The picture (seen below) was accompanied by the text “‘Obrigado’ to everyone who visited our new store in Rio de Janeiro today and to our terrific customers across Brazil!” For those of you who don’t speak the language, “Obrigado” is Portuguese for “thank you”. South America, with special attention on Brazil, is becoming a very important market for Apple as the company seeks to expand beyond traditional markets in the United States and Western Europe. Brazil is home to a very large population that has a fast-growing economy along with an expanding middle class. While the out pour of support for this Apple store in Brazil is definitely a great start for Apple in the country, the company still has some hurdles to overcome. Brazil has some of the highest import taxes around, meaning Apple’s products almost twice as much as they do in the United States. Apple has, however, started manufacturing some devices in Brazil, perhaps as a way make some products more affordable for Brazilian natives. The future for Apple in Brazil is still unclear, though if this showing of support for the first retail store in the country is any inclination then Apple could very well have stepped into a very lucrative market. The next best thing for Apple to do now is to find a way to make products cheaper, or at least comparable, for South American consumers.